Look closely! The front wheel trucks actually start to derail! 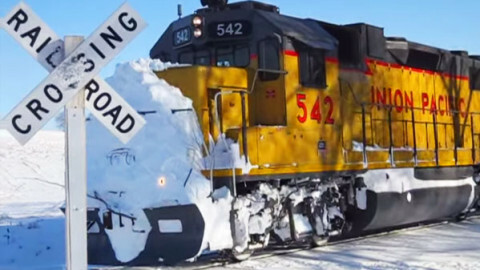 Although the snow is not as deep as in other parts of the country in this clip, it is cold enough and hard enough to cause the engineer to take it really slow over the crossing. He has to back up and go forward at least twice! There is always something fascinating about trains in the snow! Notice the headlite shining through the snow on the front grill! 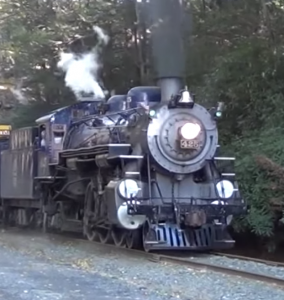 The UP 542 is one of 60 engines of her type that the Union Pacific has purchased. She is a Diesel-electric built by the U.S.- General Motors Electro-Motive Division.